Second grade reading books open up a whole new world to youngsters. Students in this grade are finally over the "Easy Readers" collection of books and ready to take on longer books with more complex story lines and more difficult vocabulary words. While some books might be easy - and others more difficult - inspire your little reader with a great list of books. While it's always good to allow your child to choose something that strikes his fancy, it's never a bad idea to help him out with a few selections of tried and true books. Baby Sister for Frances - This Russell Hoban classic (or any of the Frances books for that matter) are great additions to a second-grader's reading library. This book is a story about Frances and her emotions and feelings when a new baby is brought in to the house. Flat Stanley - Flat Stanley by Jeff Brown is about a little boy who is flattened by bulletin board and instead of being sad about it, he enjoys his new life. His mother even mails him in an envelope on vacation to California! There are several stories in the Flat Stanley collection of books. How the Grinch Stole Christmas - Your second-grader may love the movie, but now he or she is old enough to read the famous book by Dr. Seuss. Learn how the Grinch really disliked when Whoville celebrated this holiday. The Velveteen Rabbit - Margery Williams' classic story of a rabbit who wanted to become a real bunny is perfect for six- and seven-year-old children who are learning to understand story lines and can read with expression. Children of the Earth - This book, by Amy Churba provides an early primer on environmentalism, helping children discover how they connect with life on earth. Get Ready for Second Grade, Amber Brown - In this book, Paula Danziger tells the story of Amber Brown as she starts second grade. 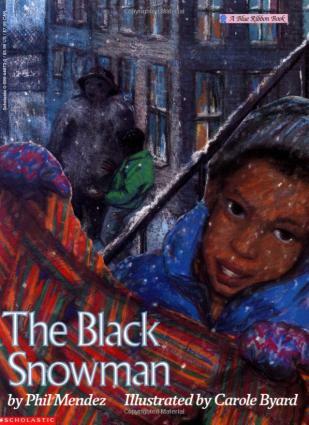 The Black Snowman - The Black Snowman by Phil Mendez is about a boy who discovers that not everything black is bad when a snowman he and his brother makes comes to life. Game Day - Game Day - by Tiki and Ronde Barber is a definite read for boys in particular. It is a good solid book about friendship and teamwork. Box Out - Box Out by John Coy is a great easy chapter book for the end of the second grade year. It will inspire great discussion time as the main character seeks to stand up for what he believes in. Donovan's Word Jar - Donovan's Word Jarby Monalisa Degross is a heart warming story about a boy who loves words. Song Lee and the Leech Man - Song Lee and the Leech Man by Suzy Kline is an easily relatable book with great opportunities to teach some admirable character traits. Mouse Tales - Mouse Tales by Arnold Lobel is a favorite for animal lovers. Along the same vein has his very popular Frog and Toad series, Mouse Tales is engaging and genuinely funny. The Countess's Calamity: Tales from the Box - Sally Gardner's book tells the story of a box of abandoned dolls befriended by a group of mice. The Adventures of Taxi Dog - This charming book, illustrated with oil paiting, depicts the warm friendship between a stray mutt and the kindly taxi driver who adopts him. Together they see the sights and sounds of New York City. The detailed paintings will give kids something new to look at each time. The Sword in the Tree - Kids who love adventure will love this tale that follows the adventures of Shaun, a young boy who must flee the castle when his father disappears. Boys especially will love to follow Shaun on his quest to reclaim the sword in the tree and lay claim to his rightful place as heir. Many kids at this age get hooked on one author or one particular type of story and they want more. In this way, chapter book series can be a great addition to your library, furthering their interest in reading and encouraging kids to read material that will challenge them. There are numerous popular series for this age group. Jigsaw Jones -The Jigsaw Jones Mysteries by James Preller are the perfect combination of funny, slightly intriguing and good clean fun. Particularly popular with boys, this series follows sleuth Jigsaw Jones as he seeks to unravel various mysteries. The books in this series are written at a second and third grade level. Geronimo Stilton - Geronimo Stilton is a mouse on a mission. These books are engaging because they are funny but more so because they are written using pictograms, and unique lettering interspersed between the chapters. What is especially great is that they characters are consistent throughout the series, making them a fun read for kids that really get into Geronimo Stilton and his character. The Bailey School Kids - The Adventures of the Bailey School Kids Series is widely popular, and quite intriguing for the young mind. In each story the kids meet a character from their every day lives, and then are "forced" to follow clues to discover the potential true identity of this every day person. You never know if you'll run into a vampire, a goonie, or something else entirely! The Calendar Club Mysteries - Author Nancy Star (who is generally known for her adult mysteries) has created a series that follows and a team of sleuthing second graders to solve seasonal mysteries. Cam Jansen - If Nancy Drew is the mystery 'it girl' for a generation of tweens, then Cam Jansen is her counterpart for elementary aged students. The series follows the adventures of Cam, who is entirely clever and quick-witted. It's no wonder girls (and boys) love this series of easy chapter books for second graders. Marvin Redpost - Created by Louis Sachar, the award-winning author of Holes, the Marvin Redpost series focuses on the real life problems of the main character, Marvin. True to the author's typical form, the books are filled with hilarity and misadventures. 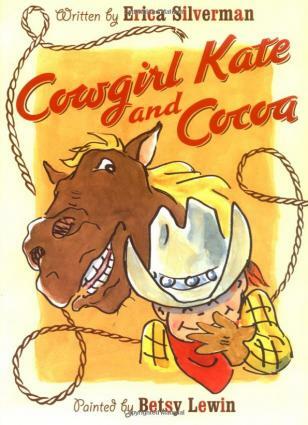 Cow Girl Kate and Cocoa - A Theodor Seuss Giesel award winner, the Cow Girl Kate and Cocoa series is good fun following the western themed adventures of Kate and her obstinate horse cocoa. Henry and Mudge - Another great series for animal lovers, Henry and Mudge is engaging but written simply and is a great way to start out the second grade year! My Weird School - Dan Gutman's series tells the tale of a very mixed-up school. Magic Tree House - Mary Pope Osborne's series takes kids on an adventure as they follow Jack and Annie on their travels through history and other realms in their magic tree house. Learning to read is a gift that can never be taken away. Second-graders who love to read will spend countless hours reading -- and rereading -- their favorites. Encouraging kids to enjoy reading and dig deeper to improve their reading skills starts with providing quality books that are engaging and high interest. 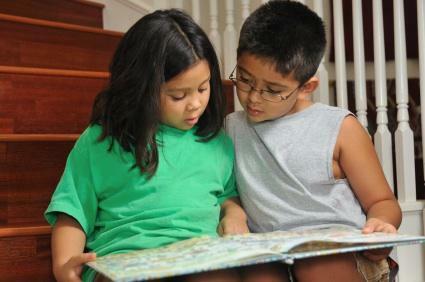 Visit your local library or bookstore on a regular basis and encourage your second-grader to read whenever possible. It's not only educational, but fun too!